Location: Karlovo is a picturesque town situated in the Karlovo kettle, part of the famous Rose valley at the foot of Stara Planina Mountain. It is 141 km away east from Sofia and 58 km away north from Plovdiv. Karlovo is a home town of one the greatest Bulgarians, the revolutionary Vasil Levski and many other personalities of fame. 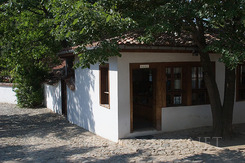 History: The ancient past of Karlovo is not very well researched. The contemporary town was founded after the Ottoman invasion and it was named after the local Turkish feudal. In 19th century the town was in its economic boom and cultural efflorescence. Many water-mills were working along the riverside of Stara reka (Old River) and the products of the local craftsmen were of sale in Egypt, Albania, Dubrovnik, Vienna and etc. Unfortunately the town was destroyed by the Turks during the Russian – Turkish Liberation war and this was the end of its prosperity. By good luck the parts of the town that had survived are still keeping their previous aspect. It is not only the Apostle of freedom Vasil Levski was born there. Ivan Bogorov – the creator of the first Bulgarian newspaper, Hristo and Evlogy Georgievy brothers, whose donations laid the foundations of the high education in Bulgaria, Hristo Prodanov – the first Bulgarian, who climbed Everest peak and left there forever, and many other great persons have took their path of from Karlovo. Sightseeing: Certainly the visitors have to see a lot in Karlovo. 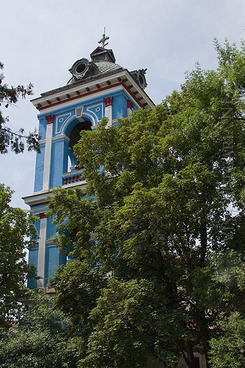 The historical museum is arranged in the building of the Old School which is declared to be a monument of architecture. There are many monuments, related with the national liberation movement. At first place, this is the house museum of Vasil Levski. The monument of his mother is also situated there. In the old part of the town there is a monument of the revolutionary with pistol in his hand and a lion by his side. The churches “St. Nikola” and “The Virgin Marry” and the old houses from the Revival period are also very impressive. Vicinities: At the foot of the Stara Planina Mountain, the Karlovo waterfall is situated. The balneologocal resort “Karlovo baths” is 11 km away south from the town. The shores of “Domlyan” dam, which is 15 km away from Karlovo, are perfect site to relax among the nature. Read Comments or Write your comments Questions?